After Mega Man X, it would be a while before I would play another game in the series. Then I see that there is a fourth game. I’ll be honest, I kinda have trouble trying to remember this part. I’m not sure if I saw the cover to Mega Man X4 in a Fingerhut catalog or on the shelf of the local Game Express. 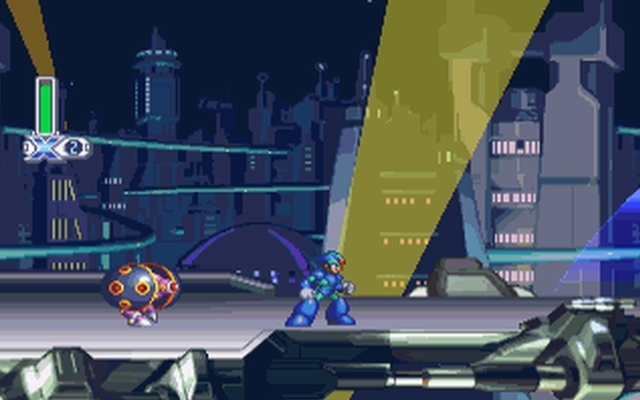 All I knew was that there was a fourth Mega Man X game and I wanted to play it. I saved up some money and managed to get the game from Game Express after a trip to 3rd avenue with my mom. I looked in the back and saw all the cool stuff you could do. I had a feeling that Zero would be more involved in the game since he’s more prominently displayed on the cover. I was stoked once I found out from the info on the back that Zero was actually fully playable from beginning to end. 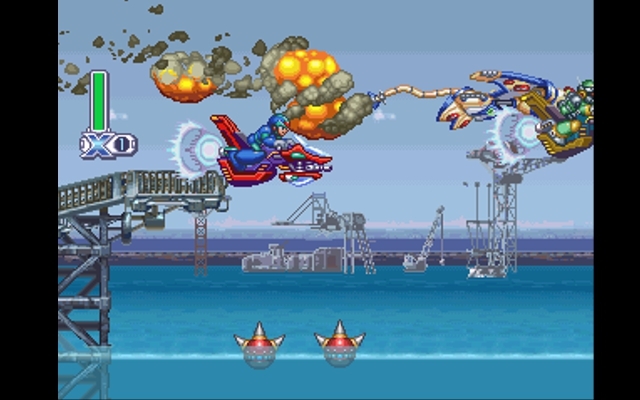 I played as Mega Man X first though to see how the game was. But once I powered on the game again a few hours later, I played as Zero and beat the game as Zero. If you haven’t figured it out by now, I had a blast playing as Zero. From using the Z-Saber to utilizing his abilities, everything just fell to the sword. One thing I did notice was that he had more cutscenes that X, alluding to the fact that this game was more about Zero than X. Hell, the intro FMV showed more things happening with Zero and the people involved with him than X. 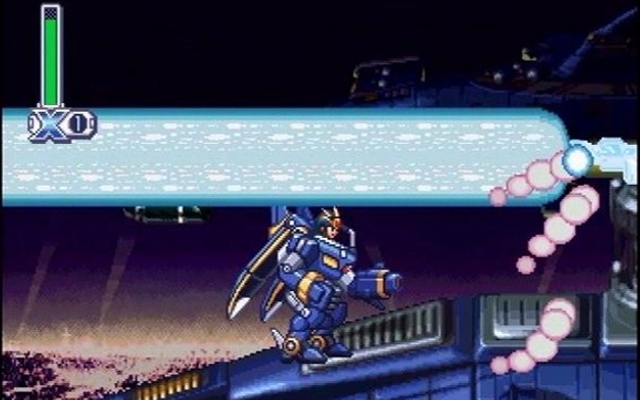 One cutscene that shocked me though was the first cutscene with Zero, where he begins having nightmare of Dr. Wily telling him to destroy everything and to destroy X. Then he’s forced to attack a lab and kill the robots inside. Then shown onscreen are quick cutaways to a massacre in a lab. Bodies of robots strewn everywhere, beaten, mangled, decapitated. And for some reason they bled red blood. Or, that’s what it seems. It could be some kind of fluid that keeps the bots running (like blood to humans). But being red and all, it looked like blood. Around the time I first played this, I didn’t really see a lot of blood in the stuff I watched/played (outside of Doom and Castlevania). But seeing the blood on Zero’s hand did give me goosebumps. In the end, it was all a dream. The cutscene with Double also freaked me out as well. Remember last week when I talked about how cool it was to ride that makeshift minecart-platform in the Armored Armadillo stage? Well, as the series progressed Capcom introduced the Speeder Bike. Since I missed out on X2 and X3, I was formally introduced to the Speeder Bike stage in X4, which was Jet Stingray’s stage. Dear lord that was a hard stage. You had enemy speeder bikes, little flying droids, exploding platforms, spiked buoys and bombs littering the stage. You didn’t have much time to react and you had to think fast as the stage scrolled at high-speed. Your bike could do two things: shoot and dash. You could shoot whatever was in front of you from a distance, but some things took multiple hits. On the flipside, you could dash into things and automatically destroy them, but dashing zoomed you to the front and into potential danger. So your choice of how to play this stage was risk-reward. Of course, I’d have plenty of trouble with the later part of the first half of the stage (after where the heart tank was). Walls and exploding platforms lined the path, but I would be too scared to dash into them for fear I would fall. The latter half of the stage was easier to handle. And I know, I know. I saw that cutscene too.